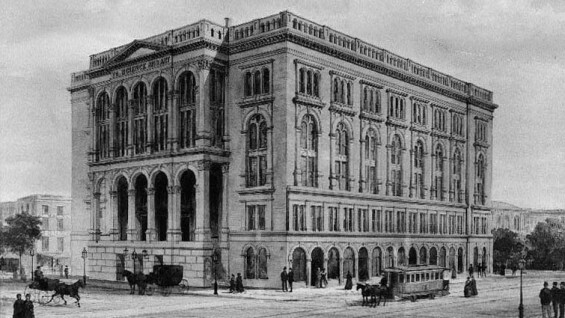 The Foundation Building opened in 1859 and marked the creation of The Cooper Union. The building—today a New York City landmark—quickly became a common meeting place for intellectuals, inventors, tinkerers, and people from across the social strata. At the time of its erection, the Foundation Building was one of the tallest in lower Manhattan. It boasted such novel features like a cylindrical shaft between floors for the transport of goods by pullies—with which Peter Cooper foresaw the forthcoming invention of the elevator. Perhaps its greatest feature however is the Great Hall. For more on the architectural history of the Foundation Building see the website that accompanied the exhibition Architecture at Cooper: 1859 - 2009.